Pumas, also known as Cougars or Mountain Lions, are powerful cats with body length up to 1.9 metres. While kittens are born with a spotted coat, adult pumas are typically a uniform sandy colour. Pumas are most active at dawn and dusk. They feed predominantly on species of ungulates, which they hunt by stalking and ambushing their prey. They are solitary cats. Males occupy large territories that overlap those of several females. Mating may occur year-round and is initiated by females advertising their receptivity with loud scream-like calls. A female may give birth to up to six kittens, which are born within a den. The young emerge from the den at around eight weeks old and remain with the mother until they are up to two years of age. Pumas can occupy many diverse habitats, including deserts, rainforests and mountains. The species has a widespread natural distribution; they can be found in parts of Canada, the United States, Central and South America, but have been eliminated from almost the entire eastern half of Northern America. 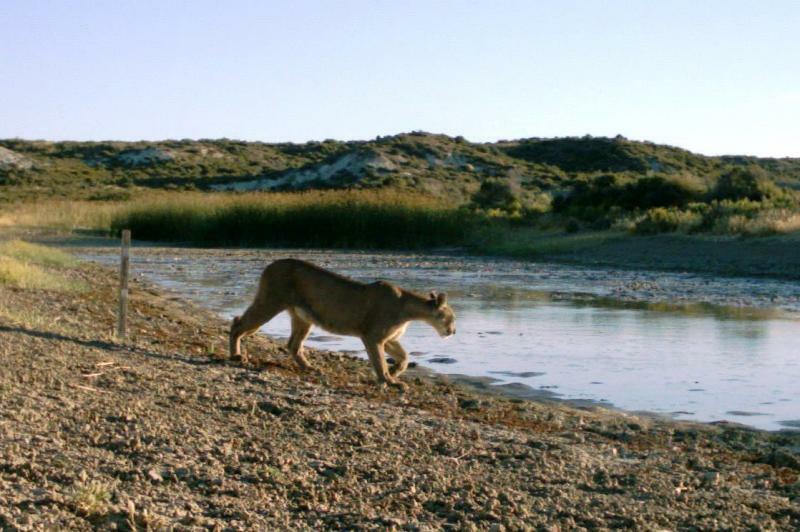 The loss and fragmentation of habitats are the principal threats to puma populations. Busy roads and human settlements are a major barrier to puma movements and dispersal and individuals may be the targets of hunting as they are regarded as a threat to both humans and livestock. Decreasing prey populations also contribute to reduced survival rates.